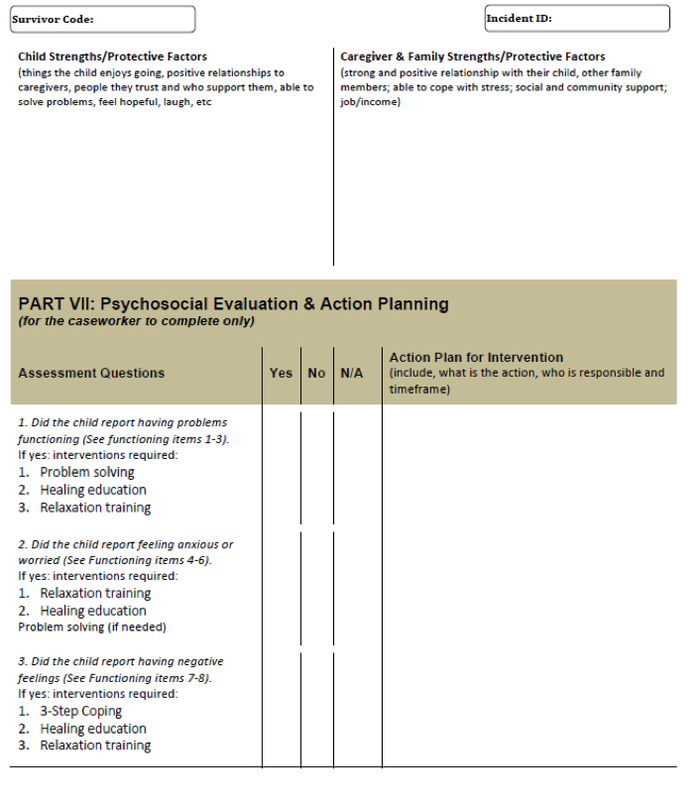 Prior to conducting any mental health or psychosocial interventions with child survivors it is important to conduct an in-depth child and family needs assessment. 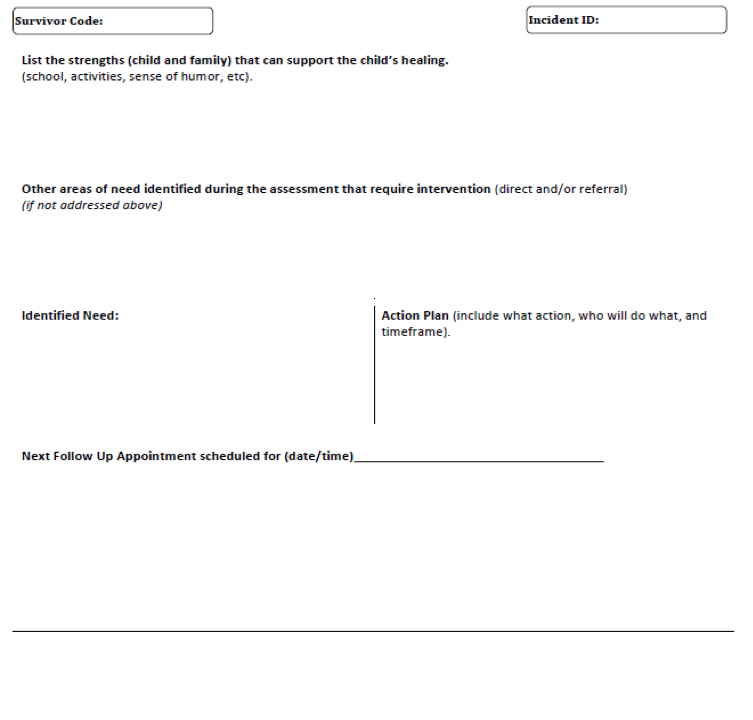 Conducting this assessment will allow service providers to identify the specialized needs of the survivor in order to inform service provision. 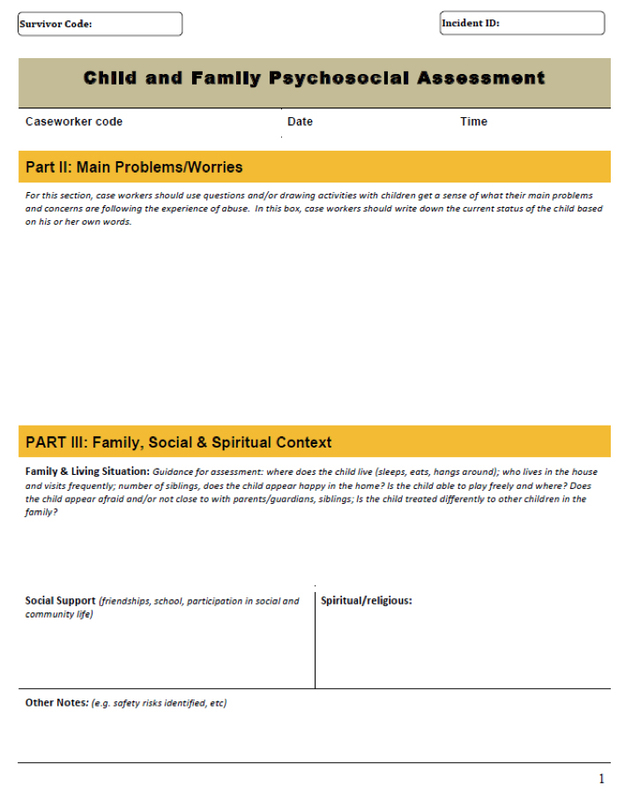 The following tool has been developed to be used when conducting an in-depth child and family needs assessment. 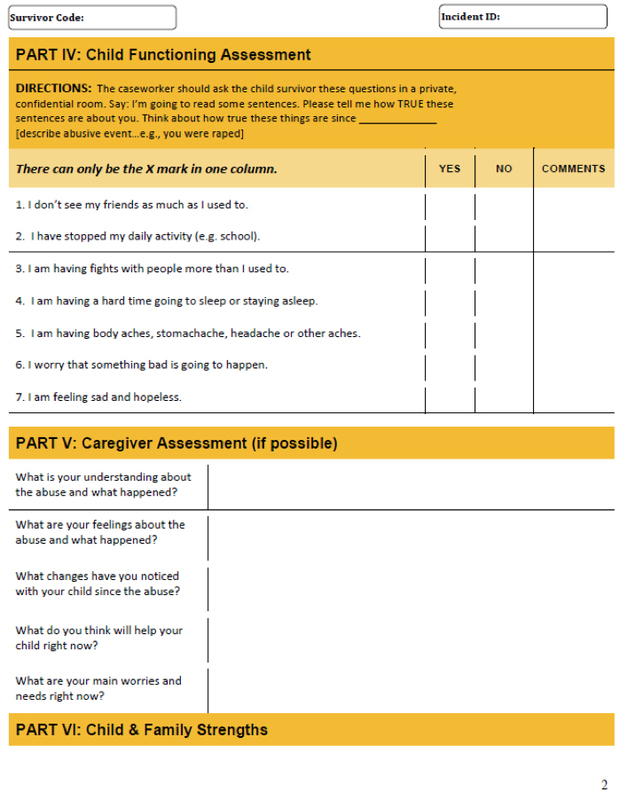 For more information on this tool see IRC & UNICEF, 2012, Caring for Child Survivors of Sexual Abuse, Chapter 6. Acquire new skills for solving problems (excerpted from IRC & UNICEF, 2012 pg. 188). 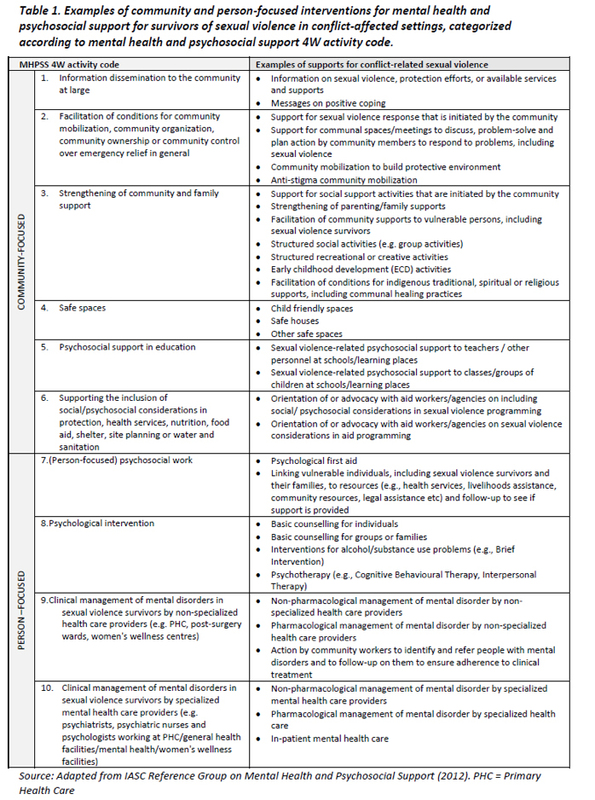 The following tool is a guide to the core psychosocial interventions for addressing sexual abuse with children. For more information on these interventions and for additional tools see IRC & UNICEF, 2012, Caring for Child Survivors of Sexual Abuse, Chapter 6. Source: IRC & UNICEF. 2012. Caring for Child Survivors of Sexual Abuse, pg. 200. ARC Resource Pack (Action for the Rights of the Child (ARC). N.d). This resource pack is a capacity-building tool for child protection in and after emergencies. Gender-Based Violence: Care and Protection of Children in Emergencies: A Field Guide (Benjamin, J.A. and Murchison, L./ Save the Children Federation, 2004). This field guide to Gender-Based Violence Programs in Emergencies provides useful strategies to build Save the Children’s capacity in this challenging area of emergency response, whether as an integrated component of sectoral work or as a stand-alone approach. As such, it provides a valuable complement to the other field guides in this series. For information about the global Child Protection Working Group and related resources, see the website.